On the way back down to Tokyo Big Sight for the International Robot Exhibition. 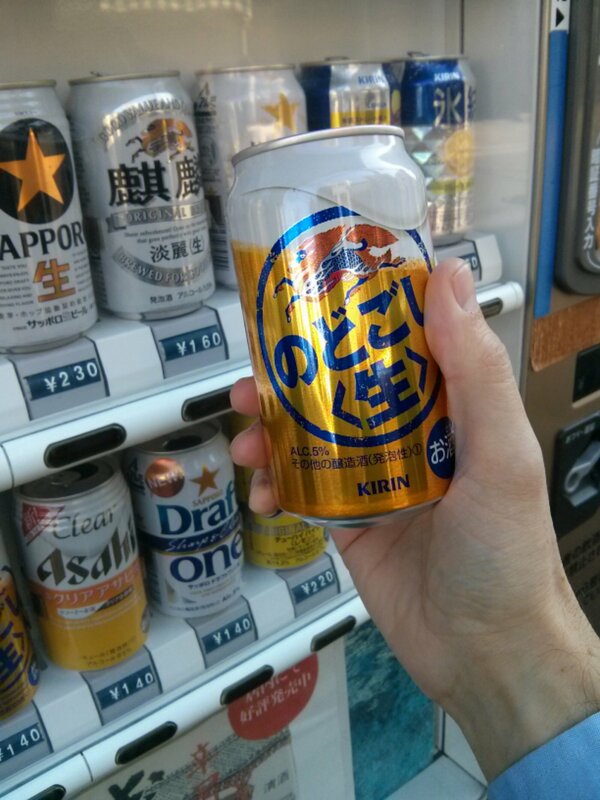 Time to utilize one of Tokyo’s countless vending machines. Most of them sell coffee and soft drinks. This Asakusa specimen sells beer. 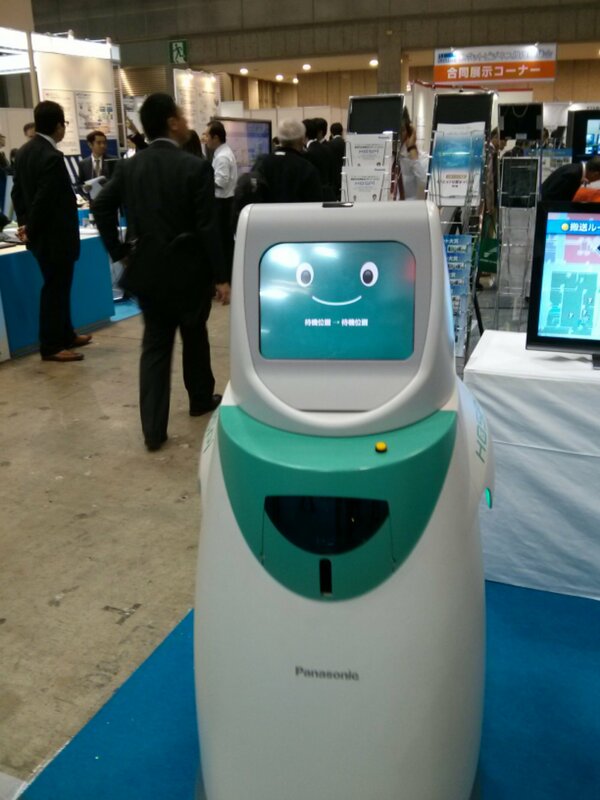 This little guy greeted me at the International Robot Exhibition in Tokyo. Medical telepresence robot. 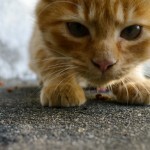 He insists that I touch his index fingers. “Calloused” does not even begin to cover it. They feel like the fingers of a mannequin, toughened by countless turns of wooden sticks over a barbecue grill. 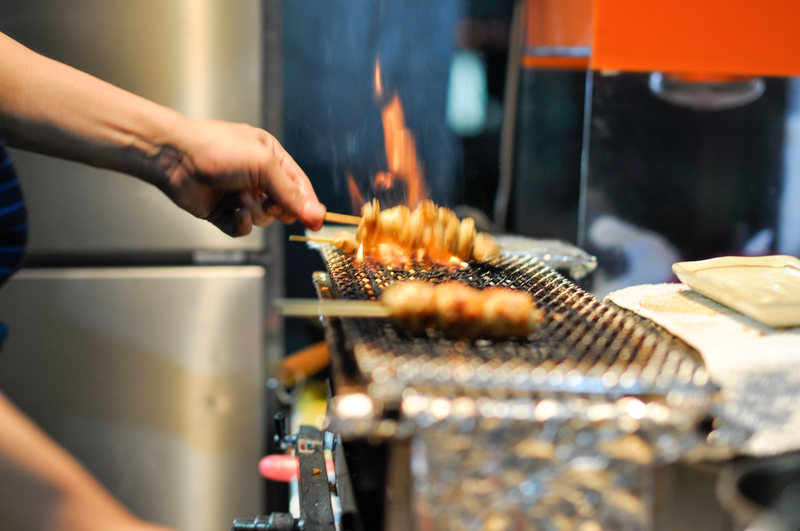 This dude cooks up yakitori at a little bar outside Senjuohashi Station in Tokyo. It’s an occupational deformity, physical proof of his work experience. By way of demonstration, he taps at his iPhone, whose touchscreen does not register his index fingers as belonging to a person. He uses his middle and ring-fingers to navigate the phone instead. At this point, I’ve been in Japan for a total of two hours, counting the 70-minute ride from NRT along the Keisei Electric Railway. I had stopped for a quick bite before meeting my airBNB hostess at the station. After dropping off my bag (carry-on only, of course), I found myself perched on a plastic milk crate, devouring yakitori and sipping beer with a gregarious bunch of locals, all of whom were keen to test out their English, and all of whom did better than I did with my woefully meager Japanese. If your train station isn’t drawing enough commuters, there’s only one viable option… that’s right, you have to hire a pair of monkeys and give them uniforms. That’s what Hojo-cho station in Kasai, Japan is doing. We at IJT hope that Nehime and Rakan have a great first day at work. The two monkeys are only temps, though, and were brought in to draw more attention to Hojo Railway Company’s new biodesel-powered train. Perhaps this would help boost ridership on LA’s oft-ignored subway “system”. 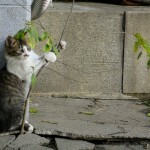 It is not the first time in Japan that animals have found themselves at the helm of a railway station: Tama, the tortoiseshell cat, is famous in Japan as a longstanding station master of Kishi station in Wakayama prefecture.